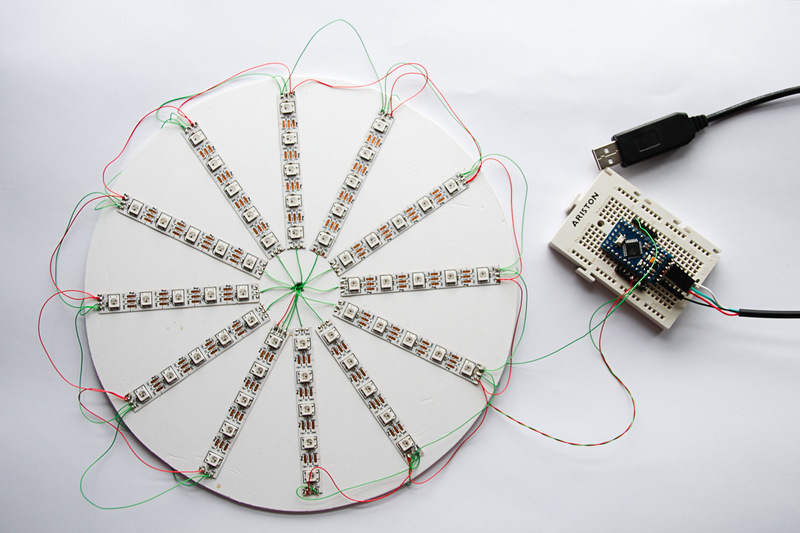 This Arduino kaleidoscope is far out, dude! Another interesting project with Arduino Nano. Nearly every kid had a kaleidoscope in their hands at some point during their childhood. The brilliant display was mesmerizing! Still today, the colorful churning designs are a delight to any onlooker’s eye. Jose Daniel Herrera has devised his own kaleidoscope, with a Maker twist of course, that can be displayed on any wall in your home. Herrera’s relatively simple design centers around a series of addressable LED strips. 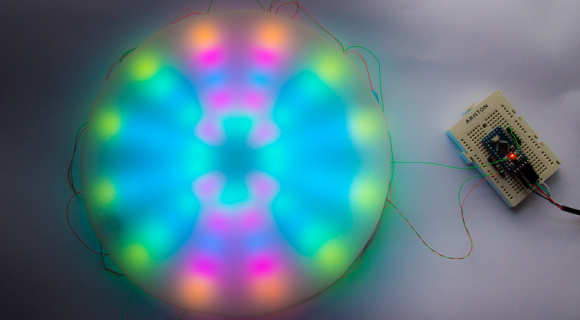 He cut down a string of 60 LEDs to sets of five and fixed them onto a circular piece of PVC, before planting a layer of diffusing Plexiglass over the top to achieve the desired appearance of the LEDs. This is a cool project with Nano. Here is an example of a more useful homemade EV3 UART sensor. 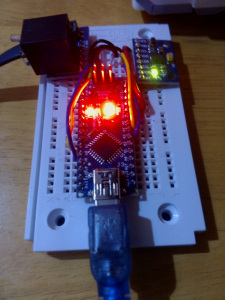 It is an IMU that uses an MPU-9150 breakout board that can be bought cheaply on ebay. I am usinh a cheap Arduino Nano clone. The sensor supports 4 modes: Temperature, Compass, Gyro and Acceleration. The last three are all 3D, and have X, Y and Z values. you can program the sensor to do interesting things like on-board fusion of the gyro and acceleration data. The USB cable in the picture is used for programming the Arduino Nano, and for diagnostics. When used in anger, the device is powered from the EV3. The EV3UARTEmulation library is used to implement the EV3 UART functionality and the code for driving the MPu-9150 is based on that on the Arduino playground page.